The Cover Contessa: Indie Author Interview Month: Welcome Becki Brannen! Indie Author Interview Month: Welcome Becki Brannen! Welcome to Indie Author Interview Month hosted by Never Too Old for YA and NA Books group from Goodreads. Today we welcome author Becki Brannen! Have you seen Becki's books? And now let's hear what Becki has to say! It’s always been something I’ve wanted to do, but never something I thought I could do. I grew up writing, having gone to a language/literature arts magnet elementary school, so it was always a big part of my life. It depends! 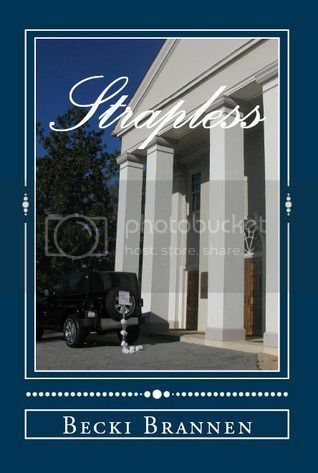 I write “Breathless” in 29 days as part of NaNoWriMo 2011, where as “Strapless” took 4 ½ months. I’m currently at right under a year (I know, I know, I should be writing!) 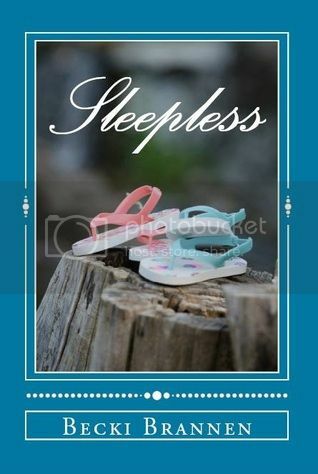 for “Sleepless,” but I also have ideas for several others I’m fleshing out. Dreams! I dreamt the same dream for a couple of months, and it became “Breathless.” I had to get it out of my head and on paper, so I could finally dream something else, ha! I wish I did, but with a full time job, twin (almost) 4 year olds & just life in general, I’m lucky if I write once a week sometimes! I aim for at night after my girls go to bed. I *wish* I was able to balance life with writing! Right now, writing gets the short end of the stick, but when inspiration hits, I might pump out a couple thousand words. I think romance is always something I look for, so whether you prefer YA, paranormal, suspense or otherwise, a good love story is always a good background theme. I actually have a few more serious novels in the works, but love is a part of them. Time management! And with sequels, doing research both into your own work and into where you want it to go. If you don’t have to research a sequel, you’re not doing anything new that wasn’t covered in the first book. 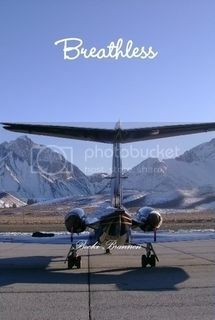 NOT count books I wrote in school – 2, and Breathless is definitely my favorite! If you DO count what I wrote in school, 8 (one for each year of elementary school and one for a book I wrote in middle school). Of course, some of the earlier books were probably more drawings than actual writing! Good question! I *love* Carly because I feel like she’s real. She’s semi-based on me, although much more put together in her life. She still struggles with what she wants to be when she grows up, despite having a great job. I feel like she’s really relatable, and that’s what makes her so great! Almost always my living room recliner. I wish I had a decent office, but honestly, I’m so ADD that if I tried to write in pure silence or sequestered from my family, I’d go nuts! I looked into traditional publishing, but it was so intimidating! I was offered 5 free paperback copies of “Breathless” for finishing NaNoWriMo, so I decided to offer them for sale through Amazon. When I realized that I could charge significantly less for e-book while still receiving a profit, I starting publishing for Kindle and Nook, as well. Kindle actually accounts for about 95% or more of my total sales! My mom loved my books! My husband loved them, for what they are, despite not being his preferred genre. My dad, however, after reading “Breathless,” said “You didn’t tell me it was a romance novel.” I told him NO, it’s not a romance novel! Romance has certain stuff in it that I couldn’t write & still tell him and my mother-in-law that I wrote a book. Oh, no – there is no use of “throbbing” or similar words in my books! I love to read. I know, every author does, but to me, it’s research. What do I like about this book’s phrasing, chapter style, etc? What do I not want to see in a book? To me, every book I read brings me one step closer to the next great novel! I also love spending time with my husband and children. My girls can be so funny – instant novel fodder! Just start! The hardest part is deciding to do it! Don’t get discouraged, or think you might fail. The only failure is in not trying. Ooh, all of these can be answered in two words – Heather Huffman. She’s amazing, talented, and inspirational. She actually started out giving her books away for free to raise awareness for human trafficking, a common theme in many of her books. As for favorite book, anything by Heather Huffman. My mom has been such a big help to me. My husband also chips in when I need a quick answer or some editing help, but it mostly falls on my mom’s shoulders. I was born and raised in the South. I married my high school sweetheart and we have two daughters and a poodle, Sophie. I enjoy writing 'chick lit' with a Christian twist. I hope you enjoy reading my books in the Breathless series. While Peregrine is a definite departure, I still explore the characters' relationships with God. As for for future books, there will be more to come soon!